This is a 6 ft. long, S-Video + Toslink audio cable. By combining the audio and video cables into one cable, it eliminates the need for separate cables. 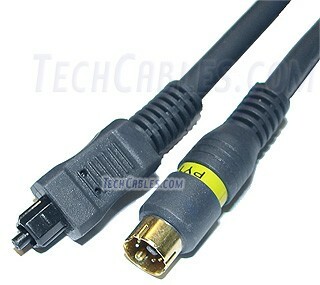 This cable is used for connecting two devices that use S-Video and optical digital audio.